Go Beyond a One-Size-Fits-All Approach in Your Lawn Care! At Green Turf Care, our approach to a great lawn doesn’t reside in one treatment — we help you achieve a healthy yard with our year-round care. Expect amazing results and a lush, green lawn every season when you partner with us! 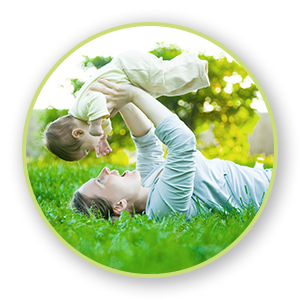 Learn More About Our 6-Step Fertilization Approach! A healthy, green lawn is within reach! 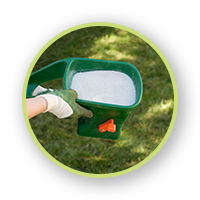 As persistent as you are with your lawn — watering, mowing, and fertilizing it — it doesn’t always guarantee results, but we do! Partner with us for a lawn that tickles your toes! If keeping up with your lawn feels like a chore with less-than-stellar results, partner with Green Turf Care today! Not only do we cultivate and nourish your lawn to yield beautiful results in the spring and summer, but we’re also here to build a relationship with our customers for a local lawn care company that can trust and rely on year-after-year. Get a verdant, thick lawn when it matters! Partner with us and live on the greener side!